I was something in the 60s but now I'm just sixty something. 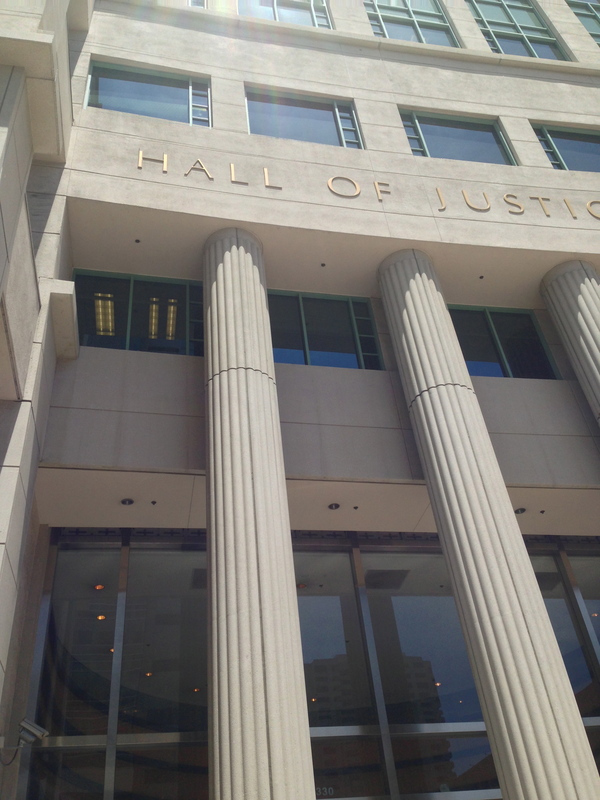 I recently had the privilege of upholding my civic responsibility and reporting for jury duty. I want to be clear that I am very thankful that I live in a country where we have well protected legal rights. That being said, I still hate jury duty and I am stuck in a vortex where I get summoned over and over. I keep moving from state to state yet they still find me. When I complained to a friend, she first shamed me and then suggested I might get an interesting trial. Really? Has she ever had jury duty? It’s boring minutiae and I have the attention span of a rabbit on crack. Luckily this time I was able to take the ferry downtown and walk the few blocks to the courthouse even if it meant taking two hours to travel five miles. Still it beats the usual driving all over the city looking for a parking space that costs more per day than the juror’s “pay”. Nothing like jury duty actually costing you money. Court employees in San Diego really are nice though in that So Cal “chill, dude” kind of way. Once we were all settled in they showed us the cheesiest instructional movie I’ve ever seen. It begins with beautiful shots of California to manipulate you into feeling pride and then hits you with the bad news. “California has crime that needs to be ‘resolved’.” Since I’ve lived in ten states and I found them all beautiful and crime ridden this didn’t exactly move me to tears. The movie informed us , “You may make friends on the jury who you’ll stay in touch with.” Right. Nobody stays connected with anybody in California. That’s why everybody moved here to start with. We were assured, “Everyone gets called…even lawyers, judges and elected officials.” True. They get summoned. They just never actually get put on a jury. I observed the men in the movie were dressed in coats and ties. The guy next to me was wearing shorts and flip flops. The jurors in the film were interested and attentive. The potential jurors in the jury lounge were texting or working on their laptops. In typical Hollywood spillover style the list of credits for this film runs longer than the film itself. Every lawyer, every judge is duly noted. Good to know they were real people because they sure as hell couldn’t act. But hey, at least the court was attempting to make you feel like part of the process. We were informed there was a five week trial, a six week trial and several 3-7 day trials on the docket. I started to sweat. What happened to the one to two day ordeals I usually got stuck with? Like the ones back in South Carolina where if you weren’t a native you were screwed since three quarters of the jury pool were excused for being related to the defendant, having taught the defendant in third grade, or belonging to the same church as the defendant’s mama. I told myself to calm down. But five or six weeks? How would I ever survive that? I had no excuse to get out of it. You had to prove you’d lose your home or starve to death in a week away from work. Or be half dead. Not being able to pay attention that long was not going to cut it. I wondered if they would strike me if I burst into tears. I got through the morning without being called. So far so good. On lunch break I decided to eat real food in a real restaurant. I really wanted a glass of wine but decided drinking on jury duty was not being a responsible citizen. Returning to the jurors’ lounge, I waited again to be summoned to a court room. People were called away by the dozens. It was getting to be well into the afternoon when I noticed there were only about 15 people remaining of the original 400-500. And then we were dismissed! I couldn’t believe it! I’m good for a whole year! I’m never this lucky! Maybe I should have hopped a flight to Vegas. You always get Jury duty! I’ve been waiting for this! Good description, Philis, and can’t believe you were so lucky! Yay, a new post! I was wondering what you’ve been up to, I was thinking about emailing/texting/sending a smoke signal to make sure you were okay, but now I know- you were in court! I really enjoy your blog,wish you’d write more. As a bail bondsman, I get called, but immediately dismissed. All it takes is a gleam in my eye and an answer of ” yessir, I think the sumbitch should get what’s comin’ to ‘im” and then I’m home free for another year. Well, court, and lots of excuses like traveling, minor respiratory infections, family get togethers and the usual etc. but mostly lack of discipline and laziness. Thanks for the vote of confidence. I’ll try to better Scott. Since you left guys South Carolina (and we have taken your place), we wanted you to know they snagged Janis right away. Her “one day” trial was settled out of court, but she earned $10 plus $4 in mileage for showing up! Haha Dave! You’re next! Just wait. At least it doesn’t cost $20 a day to park in SC. And California doesn’t even reimburse you for the first day.